The right to privacy is one of the most important rights guaranteed by the U.S. Constitution. But the Constitution only protects citizens from the government, and simply does not apply to acts committed by private citizens. Therefore, all states have laws that protect the privacy rights of citizens from other citizens. These laws come in the form of civil liability and criminal liability. Surveillance is the main criminal act under the Maryland privacy protection laws. Maryland does not specifically use the term voyeurism, but this type of behavior is included in the privacy protection laws. The privacy crimes can fall under three different criminal statutes, and each are misdemeanors. While the maximum penalties cap at one year for surveillance crimes, it is absolutely imperative to hire an experienced defense attorney if you have been charged or are being investigated for any of these crimes. Most jurisdictions will not allow pretrial diversion for this offense, and a conviction could leave a terrible stain on a person’s record. Visual surveillance is the privacy crime with the lowest maximum penalty and is also the most general. 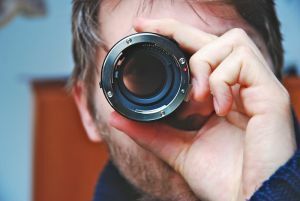 This law prohibits a person from conducting or procuring another to conduct visual surveillance of another person in a private place without the consent of that individual. The maximum jail sentence is 30 days and the maximum fine is $1,000 for this offense. The law also provides an avenue for the alleged victim to pursue actual civil damages and attorney’s fees against the defendant. The next privacy crime is entitled visual surveillance with prurient intent. Prurient is a rarely used word, which means having sexual interest. This is the crime that in Maryland is most akin to other state’s voyeurism laws. It is basically the same as the general surveillance law, but applies to the private areas of individuals that otherwise would not be visible to the public. Another difference is that this law does not require that the alleged victim be in a private place. This crime carries a maximum 18-month jail sentence upon conviction along with a $2,500 fine. A civil remedy for damages is also provided, and these types of lawsuits can often result in extremely high damages relative to the act. The Herbst Firm handles both criminal and civil defense for all surveillance crimes and is available 24 hours a day for a free consultation. The state privacy laws also prohibit any type of camera surveillance on real property where a private residence is located. This particular law has a great deal of exceptions because being inside your house does not necessarily grant you an absolute right to not have people watch you. This law only prohibits placing a camera within the real property of a residence with the intent to surreptitiously observe someone within the residence. It is not a crime to place a camera in a public area and film another person in their house, nor is it a crime if the camera is placed for business purposes, by law enforcement with a valid purpose, or by an adult resident of the house. The owner of the residence is not protected unless he or she actually lives at the residence. Many of the exceptions are designed to protect the media because they are generally the ones who set up cameras in public areas.